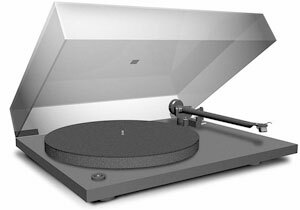 NAD badged, budget version of the Rega Planar 2 that uses an MDF platter instead of glass and an OEM version of the RB250 Tonearm. The NAD 533 turntable's simplicity contributes to its excellent performance but will also guarantee long term reliability. The turntable features a high-torque synchronous motor, high-density non resonant base, high quality Goldring Elektra cartridge, a one piece aluminium pressure cast tone arm, miniature ball bearings in the tonearm, static balancing and magnetic anti-skate device. NAD 533 / 533 owners manual, service manuals and schematics are for reference only and the Vinyl Engine bears no responsibility for errors or other inaccuracies. The PDF files are provided under strict licence. Reproduction without prior permission or for financial gain is strictly prohibited. This website is not affiliated with or sponsored by NAD.